Silverpeas is one of the rare freely available tools that associates a powerfull content management system to an Enterprise Social Nework. In a "blink of an eye", you can visualize the latests publications of your community on the information wall, and by simple click access them. 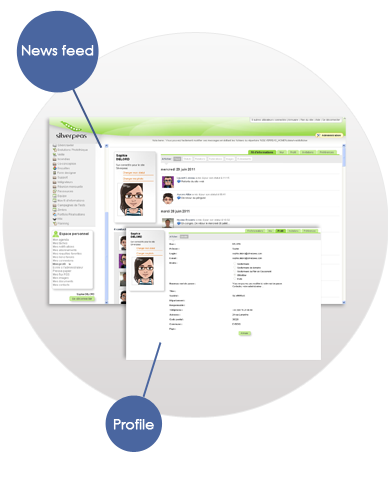 The wall is automatically feeded by all applications within Silverpeas (Document management, Galleries, etc.). To have such a result on a global social network would demand a lot of work. You can also update your status, to avoid being interrupted in the middle of a presentation or when your colleagues can find you at your office while you are on the plane ! Mixing contents in a social network increase the visibility of the activity of the community members which brings better collaboration.